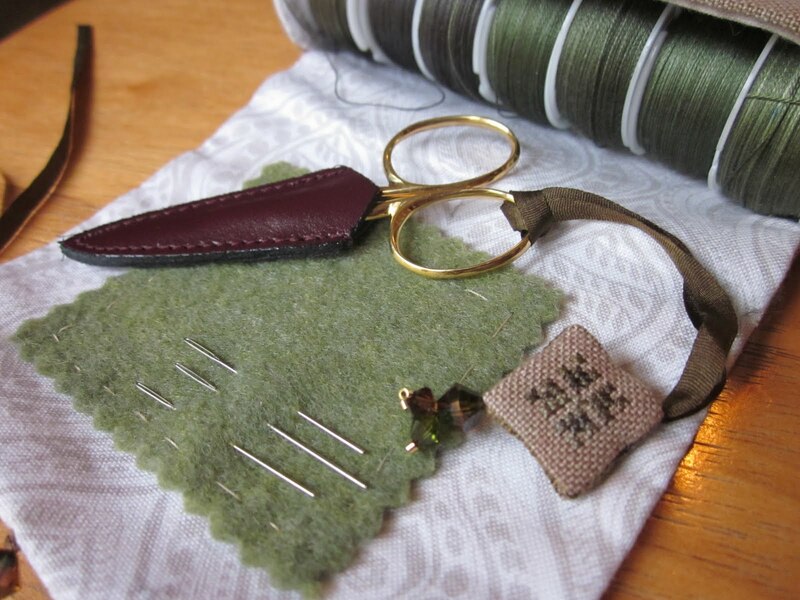 I already enjoy my stitching so much, but I've found if I'm using lovely, perfect little things I made myself to help, its just that much more luxurious. 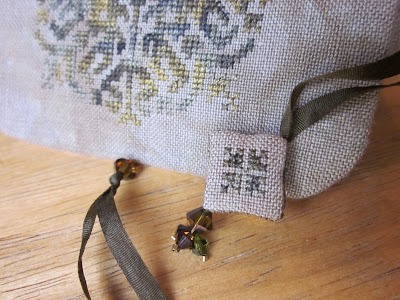 I'm using this little set as I stitch a gigantic reproduction sampler. 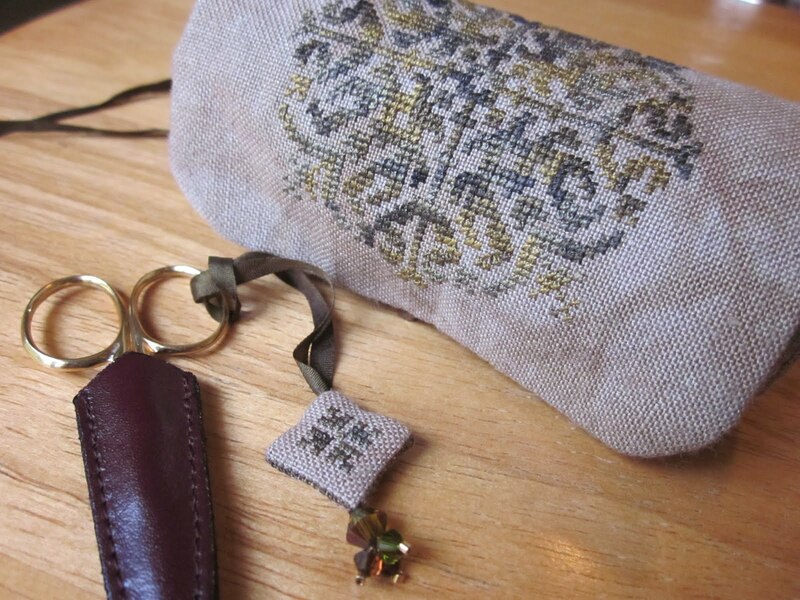 The needleroll is also a pocket that holds the little spools of silk like a glove, and the design on the cover was from an antique German-language motif book. The tiny motifs on the little fob were from a Vierlande sampler from 1848. The fabric is 40 ct linen, Sassy's Fabbrics "Mountain Majesty" and the thread is HDF silk "Primordial Ooze". With silk ribbon ties and swarovski accents. The little needleroll was made a few weeks ago, the tiny fob took only a few hours the other day. The scissors are the most tiny delicate little things, only 2.5 inches long made by Dovo, and given to me by my husband for our tenth anniversary last month. He knows what I like!